Austin Police will be equipped with 500 body cameras by the end of the year, Acevedo says. 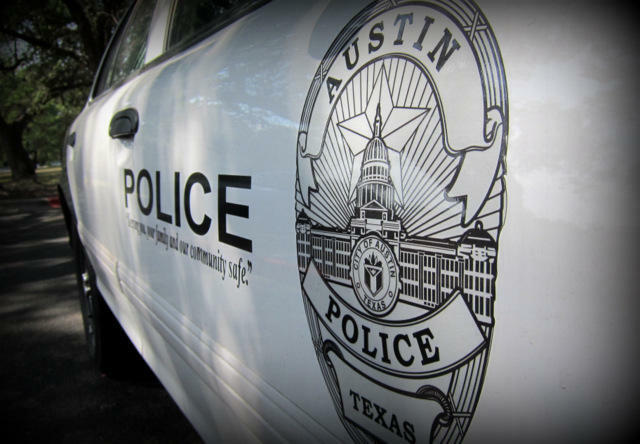 Part of the city of Austin’s new budget includes $3 million to equip Austin Police officers with body cameras. As for how that money will be spent, buying the body cameras themselves is just one part of the equation. 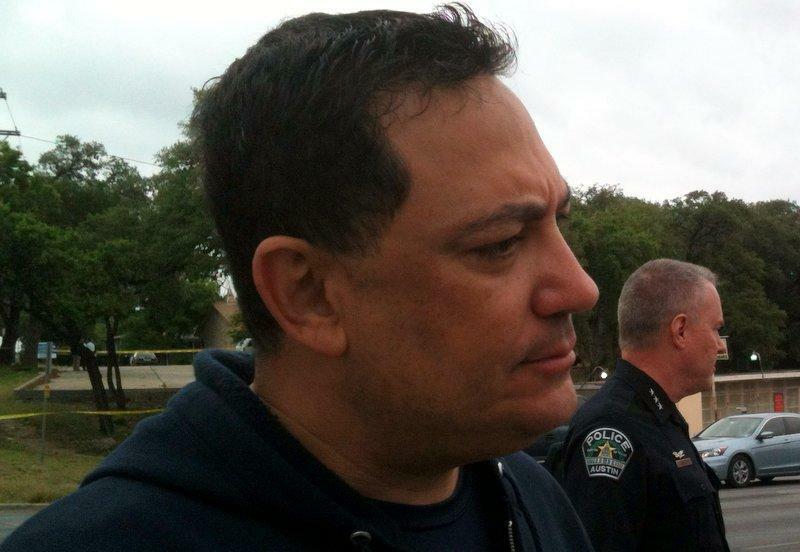 “The biggest investment in body cameras is not the camera itself,” Austin Police Chief Art Acevedo says. Of course, the cameras are not super cheap either. You can buy a body camera for as little as $200 — for more sophisticated models, the price can get up to $2,000. Considering that Acevedo says he wants to have 500 body cameras by the end of this year, that could be a million-dollar expense. Then, setting up the tech needed to handle all the video will likely cost another million dollars. Police will need chargers for the cameras, and they’ll need upgrades to increase video download speed — plus, storage for all of those video files. Acevedo says the city won’t go the way of hard storage. “Ultimately the most cost-effective methodology to store that data is going to be in the cloud." Other cities that have implemented police body cameras have turned to cloud storage as well, and Acevedo says APD is looking at camera-equipped departments around the country to see what policies and procedures have worked for them. He says the process will be largely trial-and-error when it comes to figuring out the logistics of police body cameras — and the balance between department transparency and individual privacy. "We have to be patient and be willing to change our policies and procedures as we go down that path." According to Acevedo, the department will be requesting proposals from cloud storage companies soon. The Austin Police Department had planned to install 23 crime surveillance cameras downtown by the end of March this year. 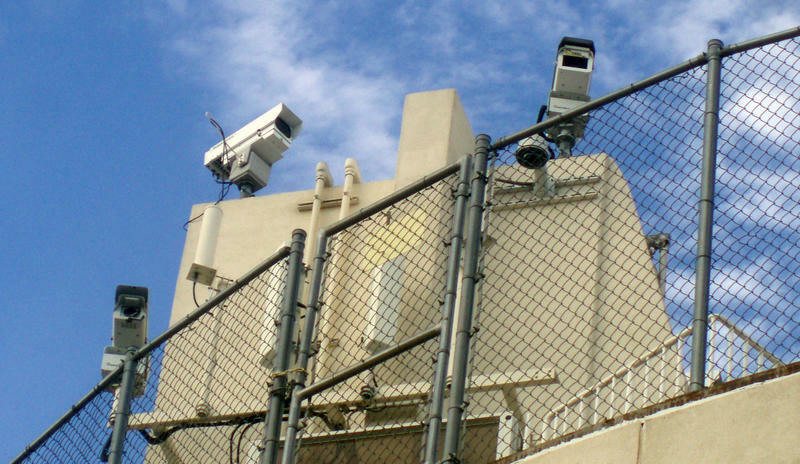 But that date has now been pushed back until October, in part because APD wanted to wait for the firm with which it is contracting to upgrade its video surveillance technology. In the wake of high profile police shootings across the country, a lot of cities are considering equipping their police officers with body cameras. 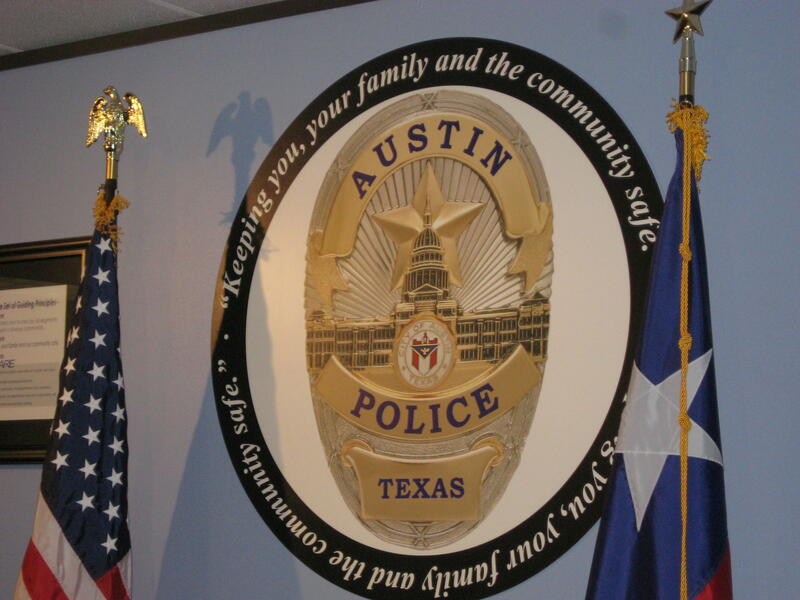 Today, Austin’s Public Safety Commission will vote on recommendations for Austin Police. 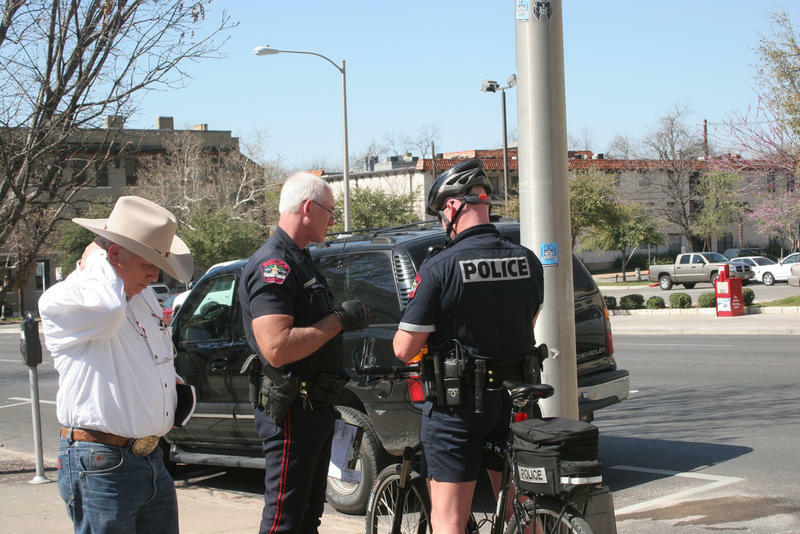 The Austin Police Department announced today that its officers will begin testing four different wearable video cameras that can be activated by the cop when he or she is encountering a suspect. The police force has been stepping up its video recording capabilities ever since an officer killed a teenager in 2009 and failed to capture the shooting on his VHS-based dashboard camera.